This dreamy trip takes you from the culture and natural wonders of California to pure island bliss in French Polynesia, checking in at a combination of our favourite luxury hotels along the way. Start your journey amongst the buzz of San Francisco, before unwinding with a glass of wine in Napa’s best vineyards, breathing in the mountain air of Yosemite, cruising down the Pacific coast, and then flying off to cloud nine in Bora Bora. Hole up on the tiny islet of Motu Tautau, with just the bright underwater life, lavish spa treatments and high-class service to disturb you. Perfect luxury honeymoon? We think so. Begin your trip in one of the most exciting cities in the world. The Golden Gate Bridge, Fisherman’s Wharf, Alcatraz, gorgeous green parks & fashion forward boutiques – San Francisco has it all. When here, we love staying at Hotel Zetta, in the heart of the techy SoMa district. Take a stroll around the corner and find yourself in buzzy Union Square, home to some of the city’s most quintessential shops. With so many wonderful sights and restaurants to choose from, we know why Tony Bennett left his heart behind. You’ll probably leave yours too. From the hilly streets of San Francisco, head off into the sunset and live out the American Dream as you pick up a convertible and drive the scenic route up to California’s wine country. The sommeliers here are some of the world’s finest and can teach you all there is to know about your favourite bottles – and introduce you to some new ones. In between days on the vineyards, you’ll undoubtedly fall in love with Calistoga Ranch, an idyllic base to rest and explore from. Tucked away between the pines, oaks and most importantly, the vineyards of Napa Valley, you’re guaranteed to leave revitalised, extremely well nourished and a budding wine expert. Cheers. Continue taking in the stunning landscapes as you drive on to the awe-inspiring Yosemite National Park; a National Park like no other on earth. Enjoy the beauty of the winding river and cascading falls, and if you’re brave enough – go for a dip in the icy cold water of the glacier. The rocks, trees and lakes here are a real oasis of calm and we promise you’ll feel more at peace than ever before. In this area of unspoiled natural beauty, The Majestic Yosemite Hotel truly captures the spirit of the area as it showcases its fascinating history. From Yosemite, head southbound on one of the most famous roads in the world, the Pacific Coast Highway. This 655 mile route takes you across some of North America’s most amazing cliffs, rivers and bridges, so make sure you’ve got the roof down to experience them in all their glory. Your overnight stopover in Big Sur is as magnificent as the voyage itself. Take a break from the wheel at Post Ranch Inn, an intimate, luxurious hotel which really makes the most of its natural setting. Hanging high on the hills of this dramatic backdrop, it boasts great views of expansive beaches, accompanied by the soothing sound of crashing waves. Trade car for plane and take to the sky for your next stop, the sublime island of Bora Bora. You’ll spend your first four nights at the idyllic Le Taha’a Resort and Spa. This remote spot, smack in the middle of the serene South Pacific, is the ultimate destination for lavish leisure time. The tranquil spa, fitness centre, crystal clear waters and countless activities will make you want to stay forever…but your next spot isn’t too bad either. From Le Taha’a, it’s just a short hop to all the indulgences of the Four Seasons. 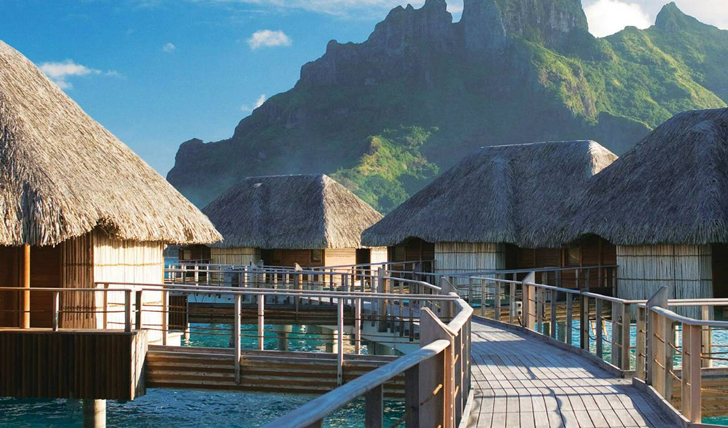 Masters of luxury, Four Seasons have well and truly outdone themselves in Bora Bora and you’ll be left wanting for nothing in this sensational paradise. Before boarding that dreaded flight back home, there’s still time to squeeze in some star spotting and last minute shopping on the star-spangled LA streets. Wander down the walk of fame, visit a movie set, eat your way around the farmers market and The Grove, stroll along Santa Monica pier – whatever you’re after, LA has it. From art to food to nightlife to beaches, you’ll never be bored. 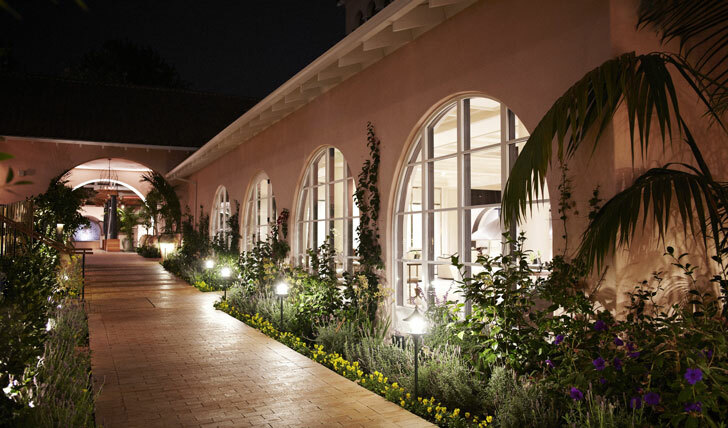 You’ll spend your last night in total style at Hotel Bel-Air. Just minutes away from the legendary Sunset Boulevard, this Hollywood icon boasts luxurious rooms, lush gardens and a decadent spa. It’s no wonder this hotel positively glitters with its history of famous visitors, from Marilyn Monroe to Princess Grace of Monaco and everyone in between. Trust us, there’s no better way to end this unforgettable trip.